School's out for the summer! Seems like just yesterday I was humming along to that song, and now school is back in and summer is almost out. The kids are back in school, night time routines are back in place, back to school shopping is over and homework is being done. The school week is spent doing work sent home from school, and the weekends are spent with family. I can't believe that the year is almost over. Can you? 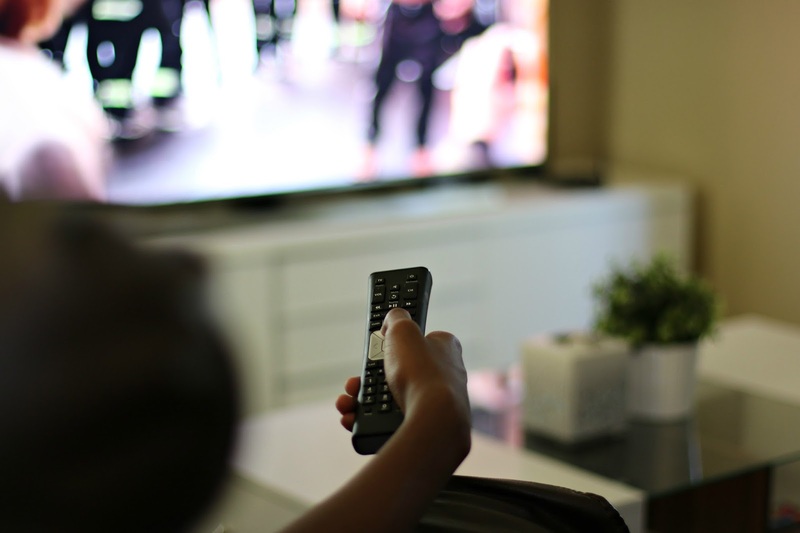 As a family, I like spending time together, doing things as a family and that includes our movie nights and one of the ways we enjoy our movies is by having XFINITY X1 services. I don't know about you, but there is no way that I can live in a home without access to a television. After all, I have my favorite shows that I just have to watch and I can't wait until their season begins this fall. Movie night is very important to us and it's the one way that we reconnect after a busy week of school and life in general. I'm going to be honest here and say that I don't always remember what channels are on our TV, and with a pre-schooler who has her own shows, and the older kids who watches something different entirely, it's good to know that I don't have to remember the channels anymore. Just talk to the voice remote and it knows exactly what you're looking for. Movie night for us usually means a family friendly movie that the entire family can enjoy. We would sit together in the family room with our popcorn, while someone finds a movie that everyone can agree on. 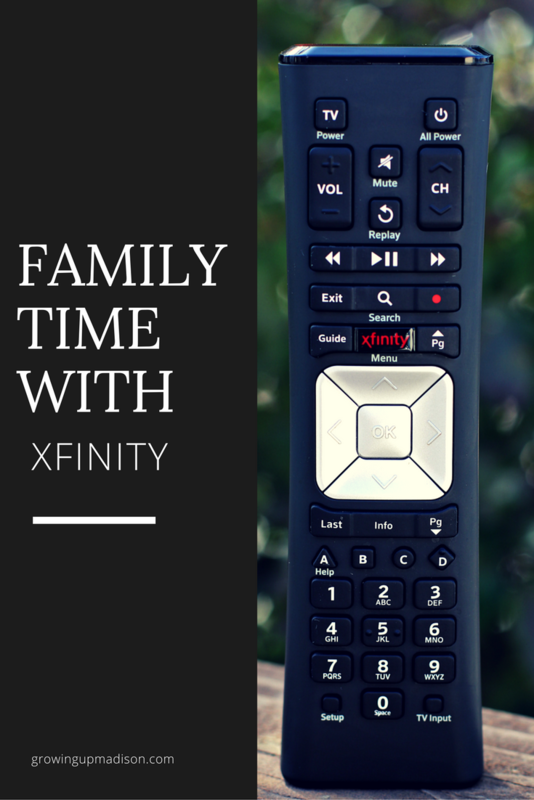 With XFINITY TV there is a wide variety of family friendly content, and also live and on-demand shows that the entire family can enjoy. So what about my kids and their homework? Well I have a son who is in high school. 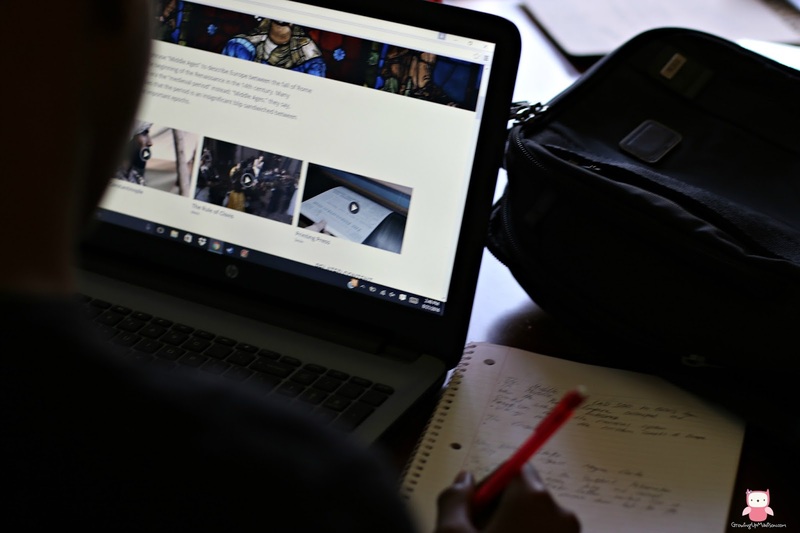 High school now means extra work because he's heading into college pretty soon, and I'm going to be the first to say that my knowledge of the work that they're doing currently is almost obsolete. I couldn't even begin to help so I always encourage him to get help at school from his teachers, and to research things on his own. Without our XFINITY X1 WiFi, I don't know how it would have been possible. Not only is the speed fast enough for him to do his research anywhere at all in the house, but it's also fast enough for me to be online doing my own work. As a work at home mom, I also need my internet to be reliable and my XFINITY WiFi has never let me down. Here's something and my favorite feature, I can connect anywhere there is an XFINITY hotspot as long as I'm a customer. How awesome is that?! Did I forget to mention that we're a family of gamers? Between our game systems and laptops always on the go, we need to always be connected. Madison needs her iPad to always be online so she can also play on her educational apps and get her learning in gear as well. XFINITY X1 has everything that you and your family need. So if you're still on the search for the perfect TV and Internet service for your family, check out the XFINITY X1 services today. 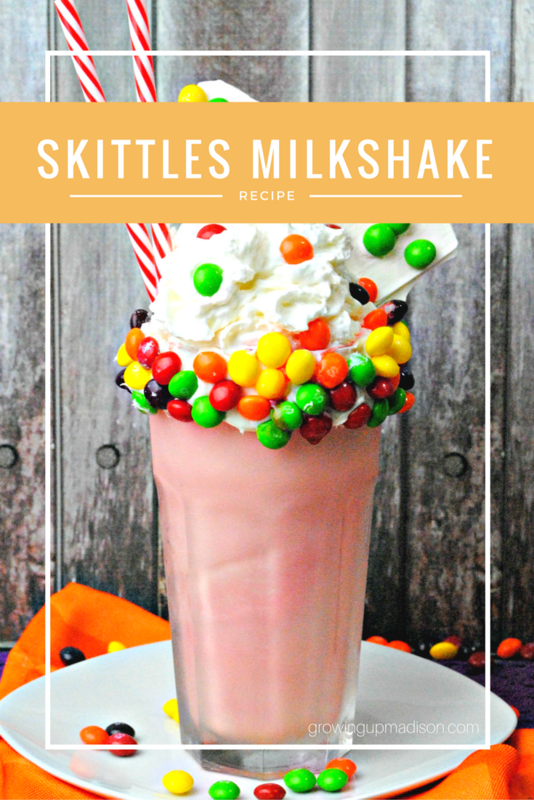 And if you're into movie nights like we are, here is a delightful skittle milkshake that the entire family will enjoy while watching your XFINITY TV. Using a milkshake machine or a blender, add in the ice cream, 1 tbsp strawberry sauce and milk and blend until smooth. Place in freezer while you prep the glass. Using the vanilla frosting, take a knife or your finger, and coat the outer rim of the glass in frosting. Roll the glass in the skittles. Using a double broiler, melt the chocolate and then pour onto a pan with wax or parchment paper. Sprinkle skittles all over the chocolate and then place in the fridge or freezer. 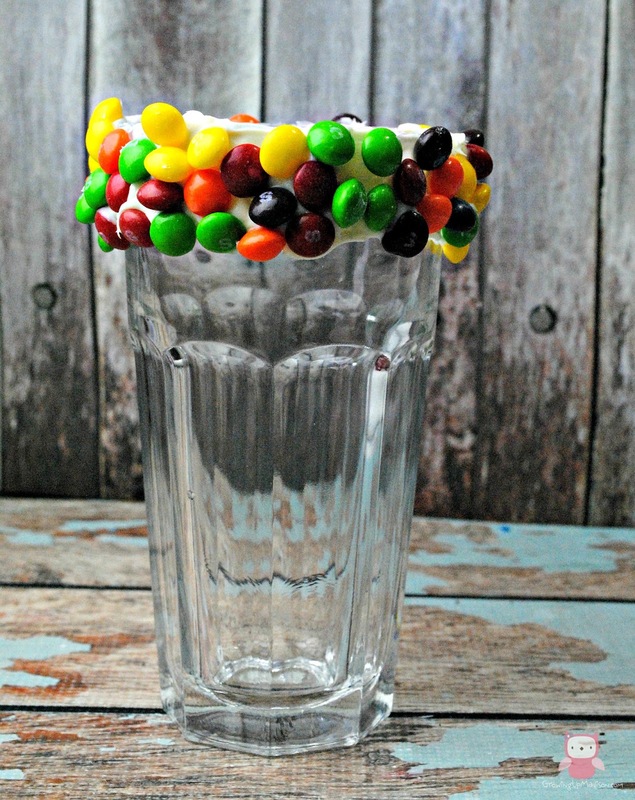 Fill glass with the milkshake and top with whipped cream, skittle bark and skittles. Let's discuss: How can XFINITY make your life easier? Wow! The skittles milkshake looks like awesomeness in a cup. My son would slurp that right up. I need to try it! Be prepared for a sugar rush! I'm warning you. We're Xfinity users here too and well, I can't live without! BUT that milkshake!! I have a few co-workers that would kiss me if I made them a skittles shake! Oh I would never switch! I've gotten lots of offers but we've been customers for YEARS! Would it be too soon to eat that at 10:55am? haha... Looks incredible and your family time with XFinity seems so fun!! We already have Xfinity, and we love it. What we DO NOT have is this awesome Skittles milkshake. Thanks for sharing this! Yum! Thank you Stacie. I have yet to meet anyone with Xfinity who hates it. I love them myself too! A Skittles milkshake is a really fun idea. I love how you rimmed the glass with skittles too! Thank you Pam. Are you an Xfinity customer? We have Xfinity and we love it! That milkshake looks amazing, definitely something that my kids would devour! We just love Xfinity too as you can see. I love how easy everything is. I wondered how you got the skittles on the sides of those glasses. I would love to try something like this for my daughter's 6th Birthday. Her friends would get a kick out of it! I'm pretty sure that they would but they're love it! I have heard lots of good things about Xfinity. I really need to check into for faster service. If you have it in your area, give it a try! That is one crazy milkshake! I know a few kids who would die over it! Wow, that is some milkshake! I have heard so many good things about XFINITY. I need a voice remote like that too! Oh the remote makes it so much easier to do things. I love it! 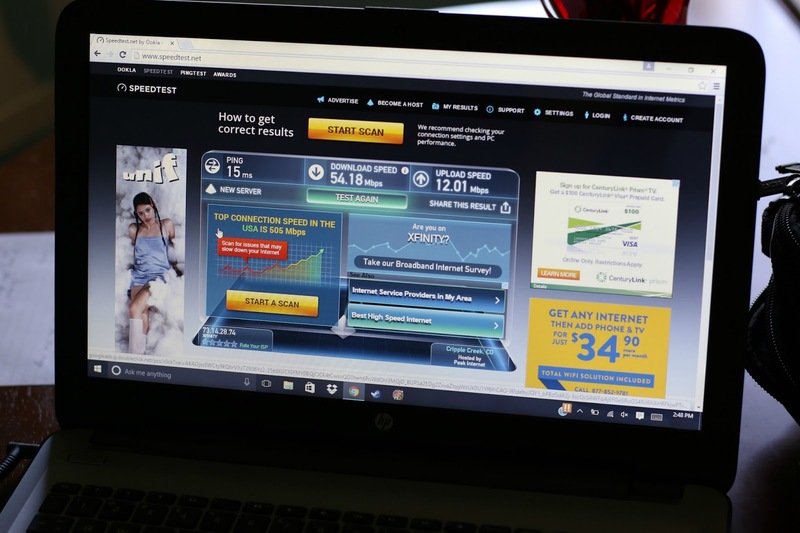 Xfinity will make my life easier with their fast reliable internet speed because that is so important in my household. I have a feeling the kids are going to be making that skittles shake this weekend, looks coloful and summery. That's the one thing I just love about Xfinity, I love their speed, it's never let me down yet. Having a set family night like this during the week when school is going on and things are so busy is what we do as well. It is a chance for all of us to come together at one time. I love that Xfinity has so much variet to choose from that there is bound to be something for everyone. There is always something for everyone! I just love their service. That skittles milkshake looks so yummy. My kids would come together just for that! I will have to give it a shot. You should. Do a movie night and make it for them. If you weren't so far away I would say come right over. I wish we had Xfinity in our area! Also, that milkshake - WOW! It's almost to pretty to eat! ALMOST! Yes ALMOST! So sorry that Xfinity isn't in your area, you're totally missing out. 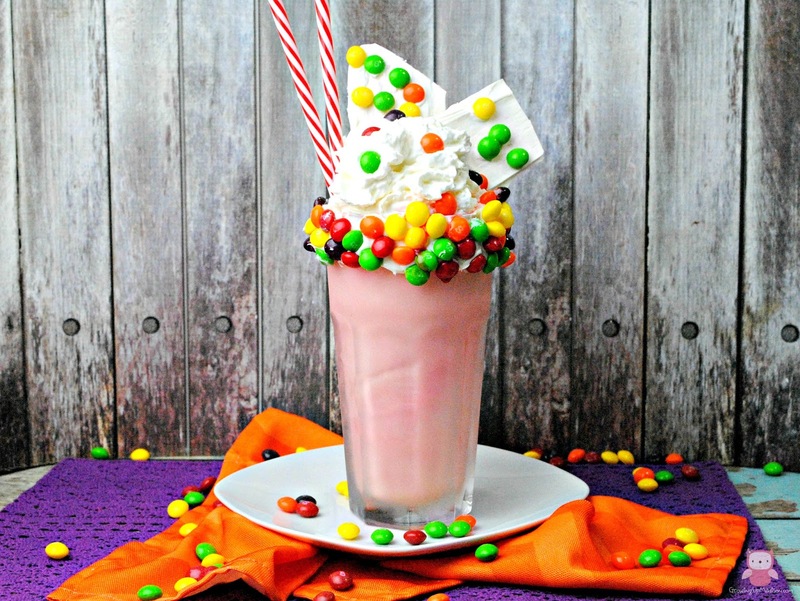 The Skittles Milkshake looks absolutely epic! It's awesome that you managed to keep those Skittles in place on the glass! Your skittles milkshake looks fabulous! I love the presentation with all the skittles on the side. Amazing! Ok that milkshake looks so delicious!!! That plus Xfinity and my entire family will be happy! Oh you most certainly can't go wrong with them both! 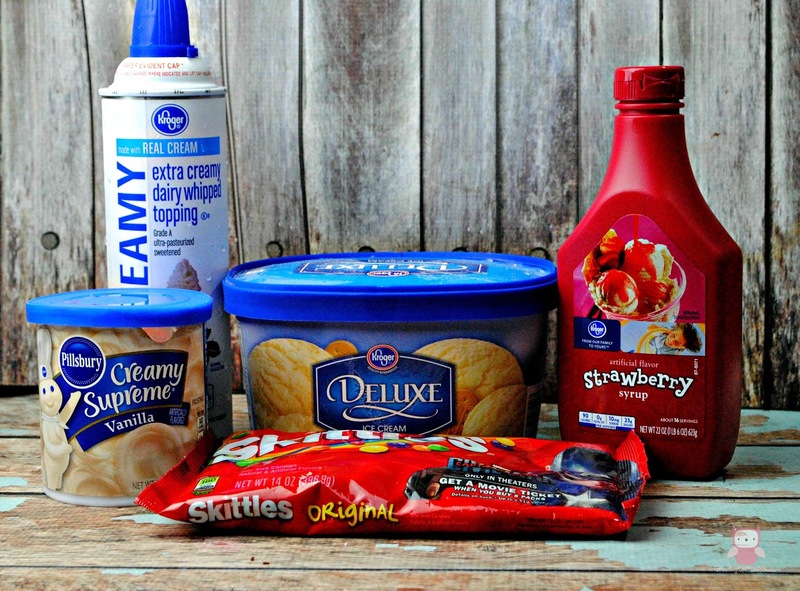 We love Xfinity in our house, and I will have to try that delicious looking milkshake! Oh the milkshake is great but so is the Xfinity service. Wow! That Skittles milkshake looks awesome! We have Xfinity when we're at our cottage in the summers and it's awesome! Wish we could get it at our house too! We've had it ever since we moved here and we won't go to anything else. I love your skittles milkshake! I don't have access to Xfinity. Where do you live that school is getting out? Xfinity sounds like an amazing option for getting access to movies and shows. We love our movie nights too! Our movie nights is definitely something that we don't ever miss. Love it. I can never remember what channels I need either, so the voice control is right up my alley. And so is that delicious milkshake! Oh you and me both. I chalk it up to my age. I never remember anything! This looks absolutely delicious!! What a fun idea for sending the kids back to school. Thank you Felicia, you should give it a try. A milkshake with Skittles paired with movie night sounds like perfection. I've never tried Xfinity, not sure if it is available in my area, but if it works better than Directv I would love to check it out. Oh it most certainly does. I've had them both and we recently switched from Direct TV for our TV and switched over to Xfinity TV about 2 years ago and we're happy. That rim is just so much fun! I love Xfinity. We have had them for a long time and we are really happy with them. Sounds like you're already a fan just like I am. We love Xfinity too! That Skittles milkshake is to die for! I wish I could have some but I am cutting down on my sugar intake. I would make some for my kids but I would have to restrain myself from gulping down a glass. Oh you can totally restrain yourself but I'm sure the kids would love it. Then by all means, go right ahead and make one! Indulge! Perfect timing, my sister was just telling about xfinity and I never head of it so I appreciate your post to bring me up to speed a bit. Wow that milkshake looks awesome! We don't have Xfinity, but my brother does (out of state) and loves it! We love movie time in our house - we are introducing our kids to all the 80's classics my husband and I enjoyed growing up. Yeah, I don't think they'll be in Canada but you should most certainly try the milkshake. My milkshake brings all the boys to the yard! hahahaha, give it a try! Xfinity Has all the bells and whistles to keep your entire family entertained and that milkshake is not only gorgeous but looks DELISH too! They sure do and that's why we love them so much. With each of us having different taste in genre of movies we watch, it's good to have options. My kids would go crazy for that Skittles Milkshake. I'll have to surprise them with that one Friday night! That will be a great surprise indeed! Wow, I can't imagine indulging in that milkshake! I will definitely give this a try! It's definitely going to give you a sugar rush. I wish Xfinity was available in my area. I will have to make this Skittles milkshake. I know my kids are going to love it. Most kids will love it because they love candy, however I'm sorry to hear there's no Xfinity where you live... you're totally missing out. I wish they offered Xfinity where I live. Unfortunately, all we have is Time Warner, which is awful. We got to experience Xfinity when we were away on vacation and we loved it. Oh I know all about TWC. I had that and Cablevision when I lived in NY and I agree, they were horrible! We don't watch too much TV and I haven't heard of this. Will have to look into it! Thanks so much for sharing. You're very welcome Wendy, thanks for stopping by. Pretty sure that milkshake could help you help your child with their homework ! ☺ That looks awesome - I will have to give this recipe a try the next time we have family movie night. LOL, I'm pretty sure that he'll be so much on a sugar rush, he won't even want to do homework. a Skittles milkshake and control of the Xfinity remote sounds like a perfect day for my Mini Me! It's also the perfect end to a great day for me too! We don't have Xfinity but I'm temped to switch now! And that milkshake looks perfect for family time! Easy enough that my youngest could help with and would be enjoyed by all. And you should switch if you could. I love my Xfinity service. We're in a rural part of Nevada and have pitiful internet, but it beats having NO internet like some areas. It may be years before Xfinity arrives in our area, but the Skittles Milkshake we can achieve right now. It looks scrumptious. Oh so sorry to hear that. I'm not so sure what I would do if I had shoddy internet service, it's one of the reasons why I won't switch from Xfinity unless someone offered and GUARANTEE better service. I've been considering making the switch to Xfinity. I need to learn more about their packages. I have the double play, which includes both TV and Internet but have been recently thinking of adding the home phone package since we don't have a home phone. The milkshake looks so fun! Hopefully you guys enjoyed your night. I love the xfinity service and options, but I wish they weren't so expensive. Actually for the service I get, it's a lot cheaper than what I've been offered in the past. We had Direct TV at first for our TV service but after that year, our bill went sky high! I won't go back. We have Xfinity and love it. That dessert looks so fun, the whole family could totally share that! Oh yes the entire family could and I would recommend it because it's just too much sweetness for just one person. I haven't had a movie night for awhile, but I hope to sometime soon! By the way, this milkshake recipe looks and sounds so delicious. Thanks for sharing! You're very welcome Hil'Lesha and you should totally have a movie night soon for the family. oh my, such a beautiful theme for a family night! My kids are all under the age of 5 but I think they would still love a themed "party" at home. Its so important to celebrate life and your children and to just enjoy the "little" everyday moments. I feel we get so caught up in the everyday rut that we forget to just "live." Your post shows us how to enjoy our time with family and "celebrate"! Lovely! That is so true, especially these days where you can get so caught up easily with technology. You've truly got to enjoy family. You really can't go wrong with Skittles can you? How creative! I never thought about combining skittles and a milkshake. It sounds delicious! Thank you Whitney and you should give it a go! 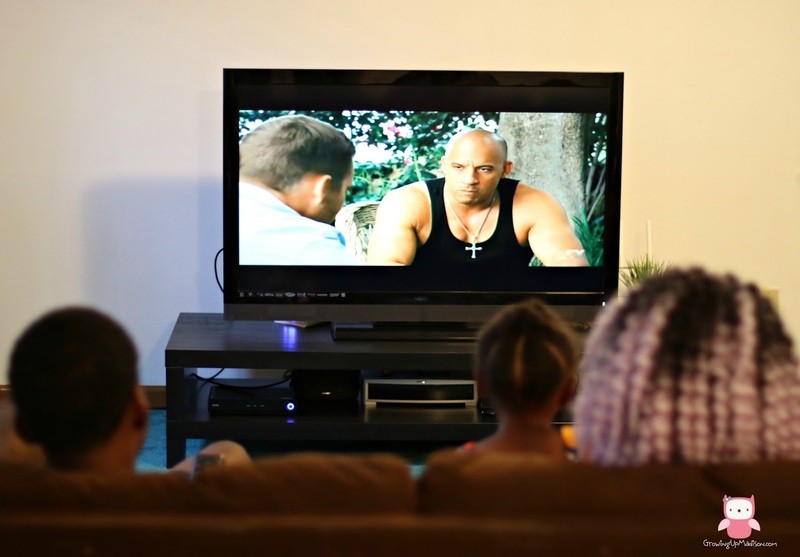 We often have family movie night and Xfinity looks like a great option for getting movies. It's new to me so I'll have to check it out. Check it out. It may or may not be in your area since it's not everywhere, but if it is, you should give it a try. That milkshake looks incredible! I definitely want to make them for my family during our next family game night. We also use Xfinity and its wonderful. You've got to make it. Trust me! And I agree, Xfinity is wonderful! Very affordable when you're enjoying it in the comfort of your home. I'd be having family time every night if I could have that Skittles milkshake! Wow that looks amazing!! Thank you but you can still do it even without the milkshake. That milkshake recipe is off the hook! I need that! We upgraded our Xfinity plan this May and I haven't regretted it once. Great family time now! Aren't they amazing! I upgraded my internet with them a few years ago and I've never regretted it. I am planning on upgrading the plan to the triple play however. We've just updated our box and have this remote. It's so cool that it have voice controls. Oh yes, isn't the remote awesome? We have never had Xfinity but have heard great things about it. That milkshake looks really good but talk about sugar overload! I know Kid Baker would love that. Oh yes it's totally a sugar overload but it's really good! We love our Xfinity plan.